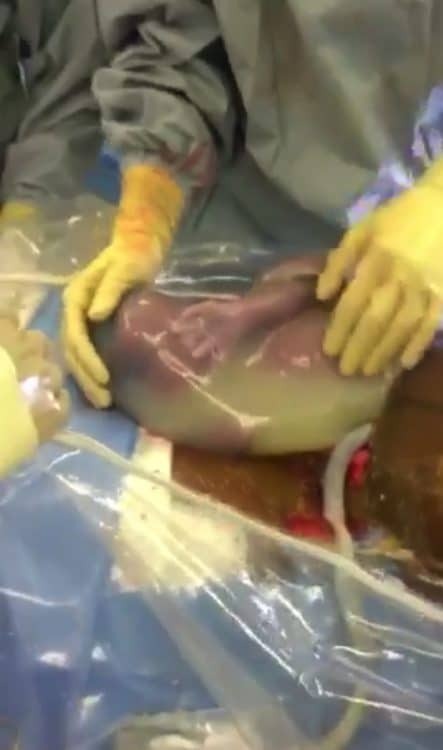 Home » Incredible Gentle C-Section En-Caul Birth Captured On Camera! It is estimated that a caul or cowl birth is so rare it only occurs in fewer than 1 in 80,000 births. 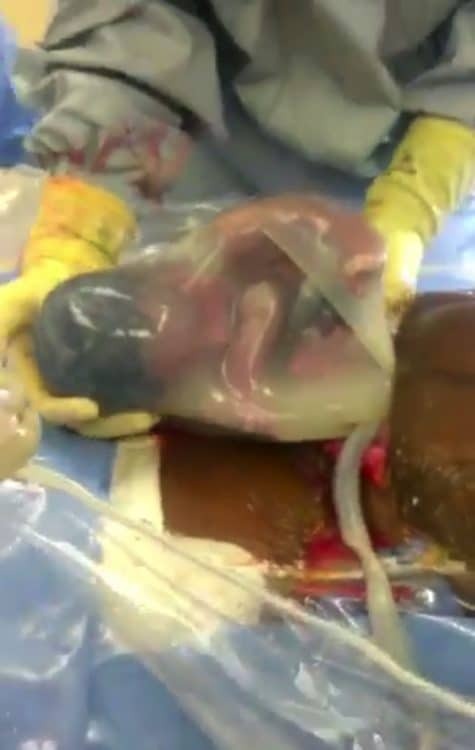 This happens when the baby is born still in its amniotic sac. It is believed that a child born this way comes with good luck and that they are destined for greatness. 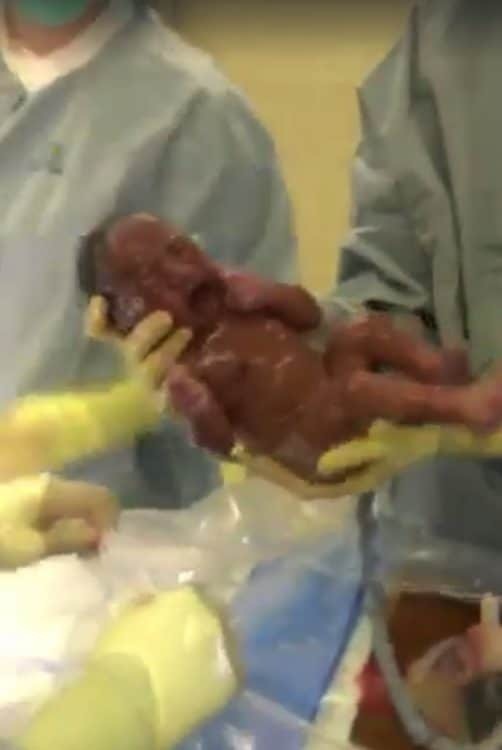 Staff at Lakeland Hospital in St. Joseph, Michigan recorded an incredible twin birth where the second baby practically delivered itself while still in its amniotic sac. Twin c-section. While we’re enjoying delayed cord clamping for baby A, baby B decides he’s ready to come out and pretty much delivers himself!! En caul?. And dances in his sac!? Filled my bucket today?. And one of my most favorite deliveries in 10 years! Shared with permission. The video is pretty incredible. 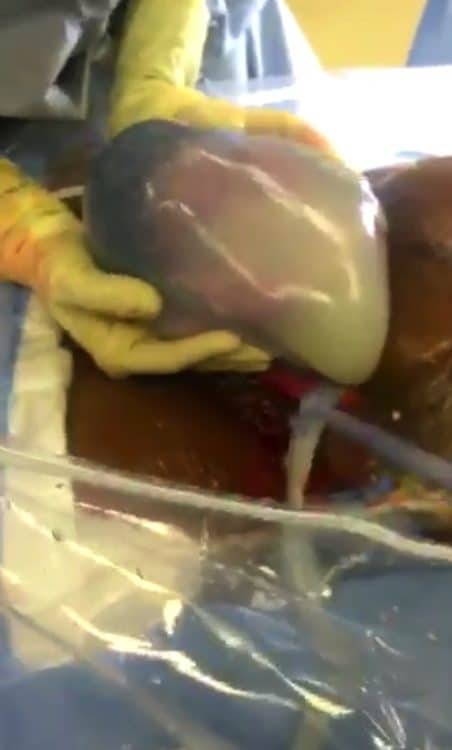 It starts showing the sac out of the mom’s uterus and the baby starting to arrive. 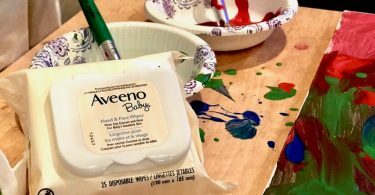 The theater lights are on for the delivery and the baby is not fond of the brightness – holding their hand over their eyes. When the nurses shut the lights off the baby continues to arrive and can be seen peering at staff through the sac. After questioning whether the official birth time is when the baby is out of the womb or out of the sac staff cuts the newborn out and makes their arrival official. It is times like these that we are thankful video equipment is at the ready for most people.